Featuring: Nova Scotia, Cabot Trail, PEI, New Brunswick. 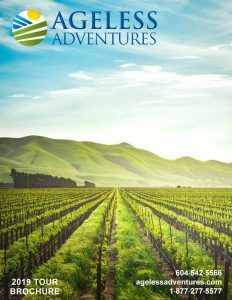 In keeping with our long time theme of “Discovering Your Own Backyard” join us for our Canadian Maritimes tour. Capture the history and magic of these picturesque provinces. Learn about their past and revel in their magnificent scenery. Our tour begins and ends in Halifax. 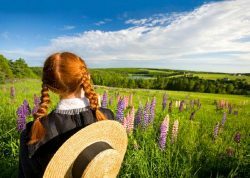 Learn the fascinating history of Halifax on a gentle walking tour; visit the Immigration Museum; explore the Cabot Trail; take a ferry to PEI; see Lucy Montgomery’s beloved character, Anne of Green Gables come to life as we visit her home and enjoy a production of “Anne & Gilbert”. Marvel at nature’s phenomena at the Hopewell Rocks in New Brunswick and drive through small fishing villages, such as 17th century Lunenberg, that dot Nova Scotia’s south shore. Accommodation includes Digby Pines Resort, home of the world renowned Digby scallops. and enjoy the beauty of the 1920’s White Pine Resort near Liverpool.